DR testing is frequently put off or overlooked entirely. 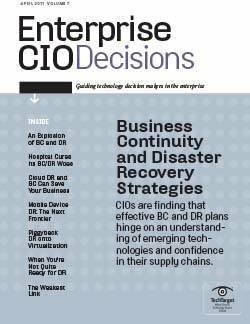 However, many surveys show that IT pros are not confident in their ability to recover in a timely manner following a disaster. There are a variety of reasons why IT people lack confidence in their DR plans, but many simply lack confidence in the backup/DR technologies they rely on. Technology isn't a substitute for a good backup strategy. And testing is the only way to find holes in your strategy. 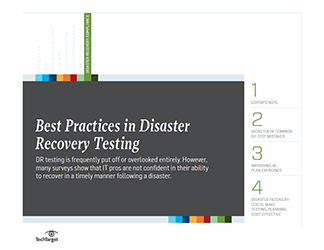 This Handbook offers guidelines for disaster recovery testing today, with a look at the variety of technologies and practices in use. You will find an expert Q&A outlining technologies that can make DR testing more effective. 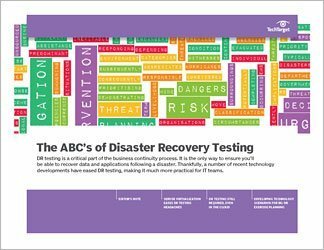 Another piece takes a look at how one company's quarterly DR test helped prepare them for Hurricane Sandy. And finally, check out a piece on DR testing for the cloud.